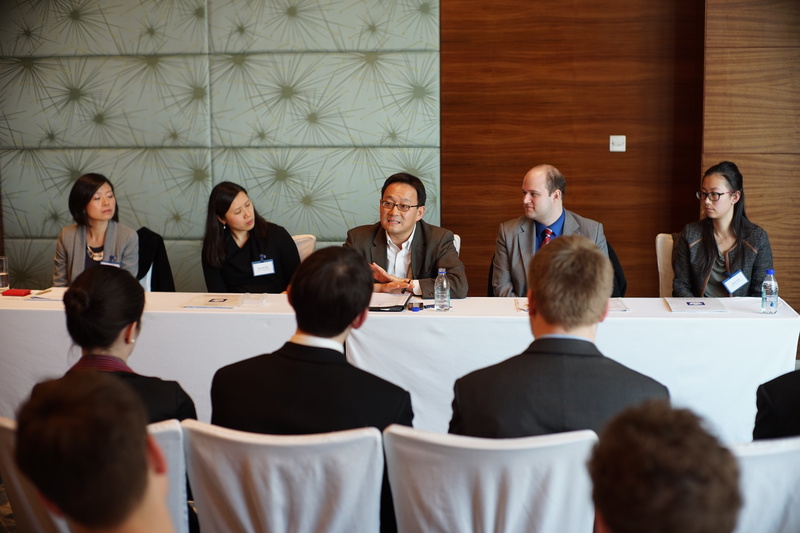 On Friday, March 15th at the JW Marriott in Shanghai, the Hopkins-Nanjing Center (HNC) held its annual Career Day. The event, which gives students the opportunity to attend panels in their career sector of choice, was organized by HNC career counselors Robert “Robbie” Shields and Niu Xiao Hu. Students attended panels such as Public Relations and Media, Government, and Energy and the Environment. Speakers at the panels consisted of various SAIS and HNC alumni. At the beginning of each panel, speakers introduced themselves and spoke about their experiences at their respective organizations. The majority of panels then turned into question-and-answer sessions between students and panelists. 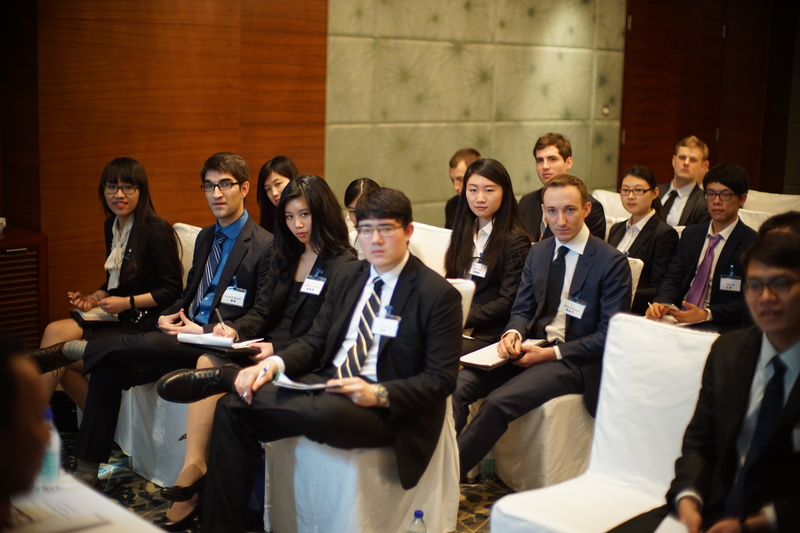 Attending organizations included large enterprises such as ExxonMobil, the Wall Street Journal, and the State Department; as well as small and medium-sized enterprises founded by SAIS and HNC alumni, such as Sina Outbound and Capvision. Apart from networking at industry-specific panels and with alumni, students also listened to a keynote speech by Beth Keck, a SAIS alumna and Senior Director for Women’s Economic Empowerment at Walmart. She spoke at length during the reception about her experiences working on corporate social responsibility programs at Walmart and the evolution of her career post-SAIS. In her closing remarks, Keck touched on balancing family, work and one’s individual goals. She advised students that they will be faced with difficult choices in the future where they will have to compromise some of their ambitions for the sake of happiness. Keck opened up to students about being tapped for a lucrative position in China and choosing to turn it down for the sake of not relocating her daughter during her last year of high school. In retrospect, that was the right choice for her family and her career development, even if it meant sacrificing an opportunity to return to China long-term. Another underlying theme brought up by alumni during Career Day was humility and other challenges students will face when finding their first career-oriented job after graduation. Many panelists stated that their current positions came from learning new skills during projects and jobs they were initially hesitant about taking. For example, Gus Conroy from ExxonMobil stated that during his time at the company he had worked in many different departments. One of the most important departments he worked in was sales. Working in sales for a few years gave him the operational and managerial knowledge necessary for advancing his career. Alumni working at Capvision strongly encouraged students to jump into opportunities that most people are not excited about because they do not align with their individual career goals. By showing willingness to accept work outside of one’s official position, students will increase their standing inside an organization and broaden their industrial and professional knowledge. At the end of the day, some students enjoyed hearing these comments from alumni the most.